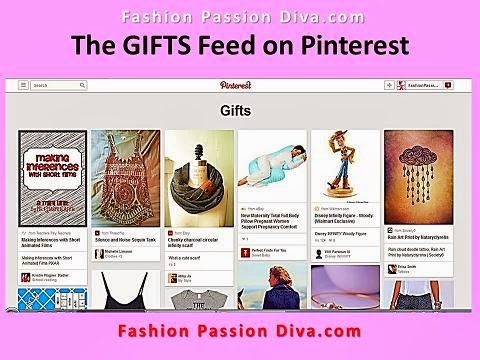 Pinterest's "A FEED just for SHOPPING"
The new, long-awaited, shopping GIFTS FEED (a work-in-progress currently) is special because it features PRODUCT PINS only. "Product Pins show extra details like pricing, availability and where to buy right on the Pin so Pinners can decide which products are right for them." "Pinners also get notifications when product Pins they’ve added drop in price." Product pins actually have a higher click-through rate, according to Pinterest. To get your pins showing in this new feed you need to ensure that they are RICH PINS. These are pins that have more details than normal pins. They can include not just prices (product pins), but maps (travel pins), ingredients (recipe pins), authors, description of content (artible pins), etc. so PRODUCT PINS are just one of a kind of Rich Pins. 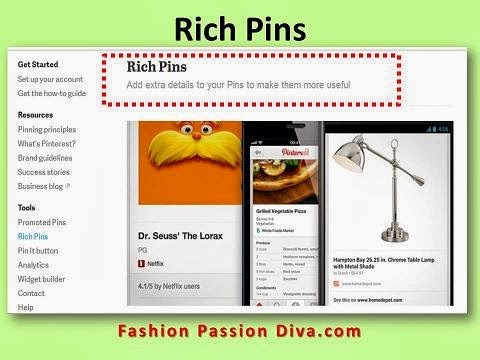 In other words your Rich Pins are not just visually-rich but also content-rich non-visually (which would have other flow-on benefits in terms of SEO, etc.). Just imagine how your pins will be showing up in search engines' organic search results not only under graphical images but also for written content if you take more effort in making your pins really rich in non-graphical content. This move will also be helpful for the increasingly savvy, diligent shopper-buyers as they scour the Net for more information and bargains before purchasing. Given the trend of major social platforms to develop multimedia-rich feeds this is not surprising coming from Pinterest which so far has been heavily-weighted in images in its feed. And given the way content marketing is heading this should appease Hummingbird, at least for the time being after it is up and running? And so this looks like a logical move for Pinterest and a good one for pinners. Hopefully the WIP phase will result in a sleek and unbloated, straightforward system that participants can utilise simply and easily so they can continue to focus on their main game of ... PINNING ... with Passion! and not struggle with the coding or technical execution when they start to use the new feed.